This article focus on to analysis Effects of Contribution Margin on Decision Making. The contribution margin is the one of the most important concepts to understand when creating managerial accounting decisions. This model represents the actual change on operating income as selling price, variable and fixed expenditures change. 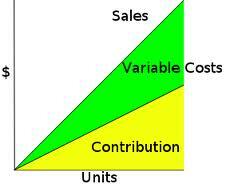 The Contribution Margin model is also helpful in determining the break even point of any business.